This sign is for CAT JP Foster. The sign’s colors are red, white, black, and yellow. 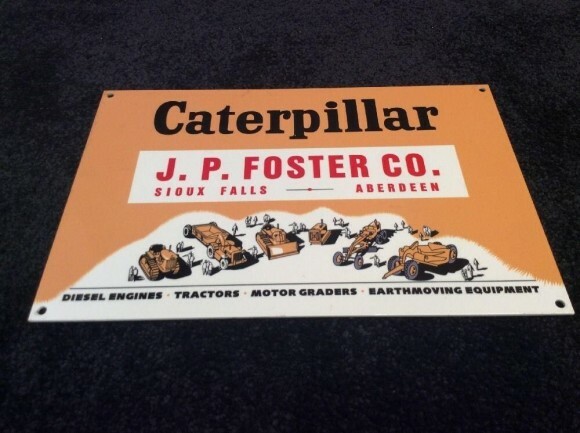 The text on the sign reads: Caterpillar JP Foster Co Sioux Falls Aberdeen Engines Tractors Motor Graders Earthmoving Equipment. The sign shows six bulldozers in the center with logos and text surrounding.